Sir Quentin Blake is a much-loved English cartoonist, illustrator and author. Perhaps best known for his illustrations for Roald Dahl’s books, his distinctive style is instantly recognisable and adorns hundreds of books as well as stamps, hospitals and public spaces. 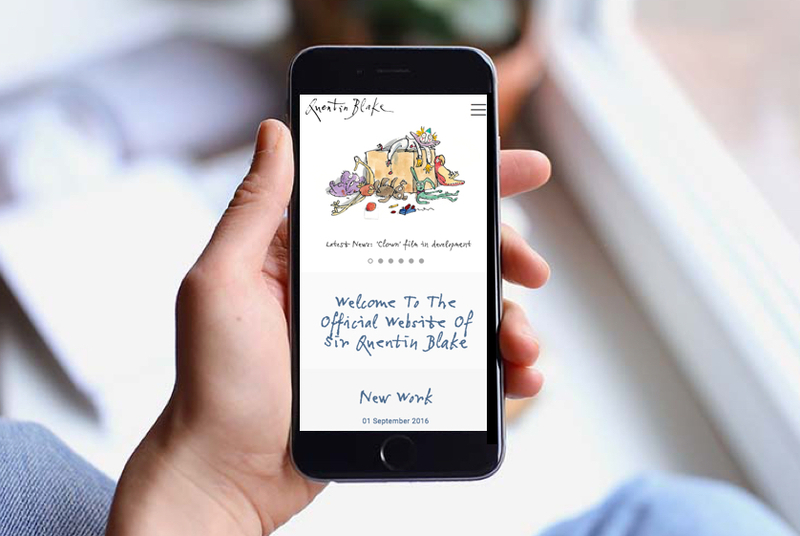 The official Quentin Blake website provides his fans a deeper insight into his artwork, writing and creative processes and offers free resources alongside a comprehensive shop. 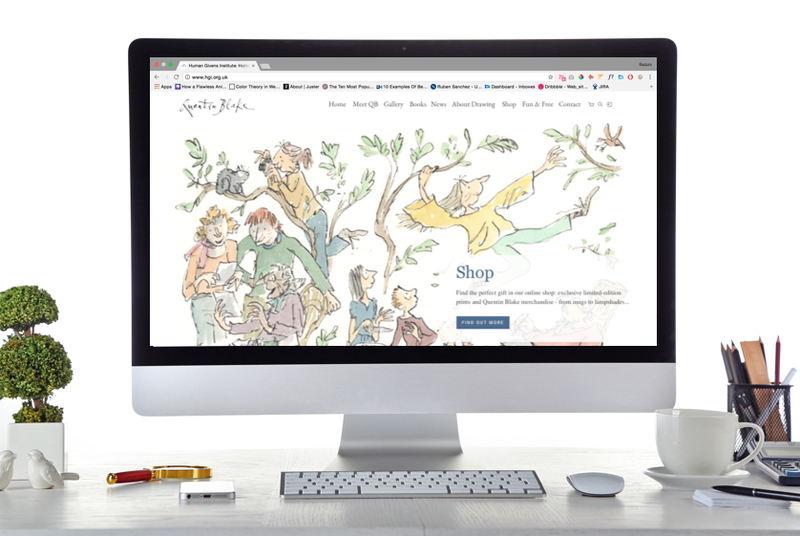 Sir Quentin Blake wanted a new website and whilst there was one clear goal – to improve user engagement – there were two distinct challenges that needed to be tackled. From a technical perspective, we needed to improve the user experience by upgrading the site’s responsiveness, content filtering and navigation to provide a seamless journey across content and site areas. But, just as importantly, we had to embed Quentin’s art and style into every element of the design, creating an online world where his unique aesthetic could come to life. We balanced the design and functional imperatives to create a new, visually rich, digital design and user interface. This included working closely with the client to understand and optimise the user journey, create a fully responsive site suitable for any device, and develop a navigational approach that encouraged visitors to explore and go deeper into the site. 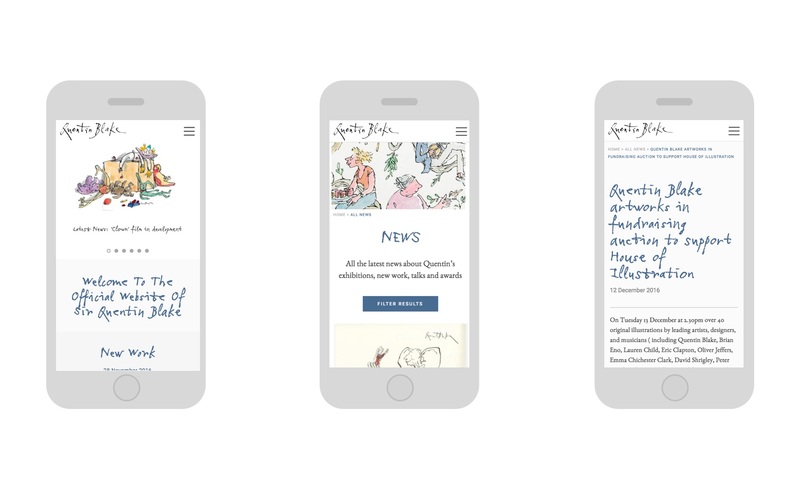 Visual design elements were critical and we developed a typographic approach that combined a bespoke Quentin Blake font in key areas with Google web compatible, easy-to-read typography that would optimise usability for all visitors. We also created coherent colour and image strategies alongside a page layout that would keep the artist’s work front and centre on every page. In just the first month since launch, the site showed a dramatic improvement in user engagement, with core measures showing that visitors were spending longer on the site, exploring it in more depth and returning. Specifically, there was a 35% increase in the average length of time on the site, a 115% increase in pageviews and the bounce rate, which tracks visitors who leave the site without interacting with it at all, fell by 12%.